In Canada, as elsewhere in the Western world, coffee remains a vital part of the daily routine for many. Thus, Canadian Coffee Shops are expected to continue to be a regular feature of the consumer experience for the foreseeable future. This is a sector with a healthy mix of participants where independents are valued for their service and unique atmosphere, whilst international chains score with a range of value-for-money deals and signature menu options. According to estimates from IbisWorld, the four largest companies secured a market share of 86.9% in 2017. Though independent specialists do have a significant market penetration, chains dominate the sector, with Tim Hortons and Starbucks remaining the strongest corporate presence. In 2015, Canada imported approximately 624.74 million U.S. dollars of coffee, largely from producers in Columbia and Brazil. CBC News report that there are currently 3,692 Tim Hortons locations across Canada. That's about one for every 9,000 Canadians. drinks such as juices, smoothies and sodas. Other snacks and specialities include ice cream and frozen yogourt, cookies, doughnuts, cupcakes and bagels. A mild, caffeine-rich stimulant, coffee’s appeal is largely due to its rich flavour and distinctive aroma. 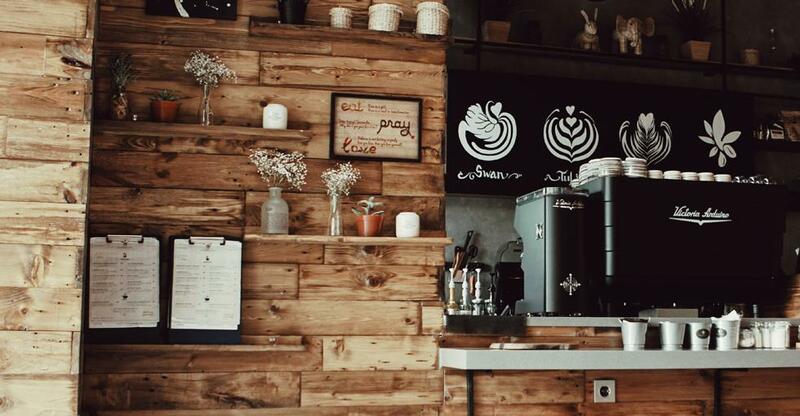 Though usually sold piping hot, coffee can be purchased in a variety of blends and formats, including exotic offerings such as iced coffee and mocha. Even though many establishments are primarily dedicated to serving coffees, there are plenty of opportunities to combine this with a menu of sandwiches, snacks and other food sector options. And likewise, coffee drinking appeals to many different ages and social groups – which means there are a variety of niche markets which could be addressed. Consumers remain keen to indulge in coffee and doughnuts as an affordable luxury. And in addition, many now view some of the exclusive coffee varieties served by independents as a third wave trend to be savoured rather like fine wine. This is one reason why there is fierce competition within the sector between large established chains and premium coffee shops offering unique experiences. A good example of this is McDonald’s own McCafé brand, which has positioned itself as the place to find high quality but affordable coffees. There are clear differences in consumption patterns between age groups: The over 65s tend to prefer traditional coffee; those aged 50-79 are by far the most likely to have drunk a cup of coffee yesterday; the 18-49 age group show the strongest preference for frozen blended coffee and other exotic specialties; while millennials aged 18-34 consume and support coffee brands (e.g. fair trade and rainforest products) which are certified as ethically sourced. Analysts predict that it will become more difficult to increase consumer traffic in such a mature market, therefore the most successful operators will be those who can offer added value in the form of a premium product and/or consumer experience. Furthermore, there is a (small) chance that increasing consumer debt could impact upon the overall demand for the services this industry provides. Just like any other enterprise, you will have to register your business and let the tax authorities know when you plan to start trading. In addition to this, you may also need licences from federal, provincial and municipal levels of government. Because you are serving food and drink, your premises will be subject to food service inspections to ensure you are complying with regulations such as those governing food storage, the protection of food from contamination, and the safe, hygienic disposal of waste. Your business will also need to demonstrate compliance with fire regulations as well as health and safety codes. And you will need business insurances too – for instance, to cover public liability risks. For those planning to employ staff, there will also be employment legislation to consider. New proprietors will also need to ensure they have a music licence if they intend to use any form of live or recorded music on the premises. Staff will require training in generic food and health and hygiene techniques. Beyond this, there is specialist kitchen machinery and the associated skills required to prepare and serve specialities such as espresso and latte coffees. Owners and supervisors will also need to understand the process of ordering supplies, perform a further range of office/administrative tasks, and oversee the proper implementation of cleaning schedules. Purchasing an existing business can be an attractive proposition. However, you must be prepared to thoroughly research the trading and financial history of the enterprise to understand how it performs. This analysis, plus support and guidance from your professional team, will enable you to judge whether the business is really worth the asking price. Perhaps even more important, you need to be certain that the business location is suitable for the trade you plan to attract, and you must also ensure that there is space to carry out any modifications or expansion you may be planning for the future.